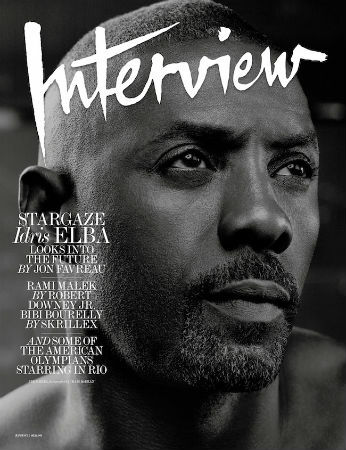 –Jon Favreau talks to Idris Elba in the new issue of Interview. It’s a good chat about actors turned directors (except for the part where he talks about DJing, an aspect about him I prefer to repress). Also, there’s random Ben Affleck shout outs, so that’s something. -Wayment. You’re all surprised that Taylor Swift hired a pro photographer to document her 4th of July party? Then you haven’t been paying attention. –Sarah Silverman went to the doctor for a sore throat and ended up spending 5 days in the ICU. –Leonardo DiCaprio is dating another blonde model but we probably shouldn’t bother learning her name either. -The bloopers from Matthew Rhys and Matthew Goode’s The Wine Show are such a goddamn delight I can’t even. -Sleepy Hollow is looking for a new “Scully-esque” female lead. Burn it all down! -It took 50 years and an alternate universe, but Sulu is gay in Star Trek Beyond. –Fine sentiment, Mischa Barton, but perhaps attaching it to a pic of you in a bikini on a yacht isn’t exactly the best way to support Black Lives Matter. -This is perfect: what if that Robbie Margot VF interview was about Benedict Cumberbatch instead? -Important: there’s a new teaser video for You’re the Worst Season 3. Also important: I HAVE HER SUNGLASSES! -I love Bill Simmons and everything he did with Grantland, but this is not an inaccurate description of Any Given Wednesday. Also, when is he going to have his first female guest already? -This description of Zoe Saldana’s diet makes me so sad, but as someone who once stood next to her in an elevator and felt like I was a shapeless blob next to her, it doesn’t surprise me. –This article made me feel really bad for Bryan Cranston. And then I remembered he’s Bryan Cranston and is probably going to be just fine. –Nick Jonas is in a freaky, slap-happy fraternity in this trailer for Goat. -Here is the trailer for My Last Days, a new doc from Jane the Virgin’s Justin Baldoni that follows six people facing terminal illness. Excuse me for a sec; my eyes are drowning. -I’m not sure why all of Anna Kendrick‘s movie choices recently seem to be about needing a date for a wedding, but at least the trailer for Table 19 looks cute.